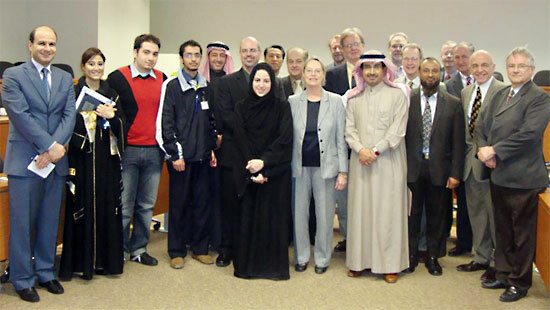 A core laboratory facilities site visit team from the AAAS (American Association for the Advancement of Science) met with Alfaisal University students and faculty on 23 January 2011. 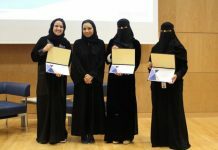 One of the aims of the team was to review and assess different locations in Saudi Arabia to see where core laboratory facilities might be located. 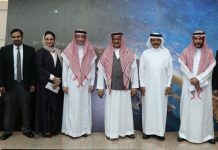 The visit was coordinated through KACST (King Abdullah City for Science & Technology). 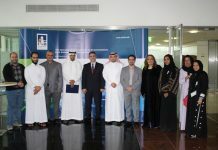 The visitors were greeted by the Alfaisal University Provost, Dr. Faisal Al Mubarak. After a tour of the Campus organized by the PR Department, the site visit team was given a brief overview of the University by the Vice Provost for Academic Affairs, Dr. Ron Bulbulian. They then met with the Council of Deans and Council of Administrators. This was followed by presentations and discussions with students and faculty who talked about their experiences. Medical students Mr. Abdulhadi Al Amoudi, Head of the MSA Growth and Development Committee, and Mr. Hani Al Turkmani made presentations about student training programs and their international research experience; Engineering students Mr. Mohammad Alamin, President the Student Innovation Club, and Mr. Ziad Sawah discussed a Pendulum Project and the Aerospace Program, respectively. Finally two graduate students from the College of Business. 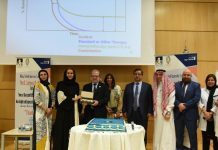 Ms. Sondos Al-Jazairy and Mr. Mustafa Al Araj talked about the MBA program. The meeting concluded with presentations by faculty members; from the College of Science & General Studies Dr. Edreese Alsharaeh presented his ongoing collaboration with KAUST on new membrane development for desalination applications; from the College of Engineering Dr. Rehan Ahmed presented the first Alfaisal patent application on coatings for orthopedic implants, Dr. Zhao Yong discussed his Aerospace research, Dr. Kamal Haddad ( a former Vice President of the IEEE) reviewed his renewable energy projects; from the College of Business Dr. Dennis Greer gave insight on their MBA program, Dr. Ricardo Santa outlined an externally supported entrepreneurship (GEM) project from the Centennial Fund; and finally from the College of Medicine Dr. Bernhard Juurlink gave a brief overview of a synchrotron project in Italy and Dr. Moni Nader discussed his collaboration with KFSHRC (King Faisal Specialist Hospital & Research Center).